Mr Business- Great business resources, reasonable prices. 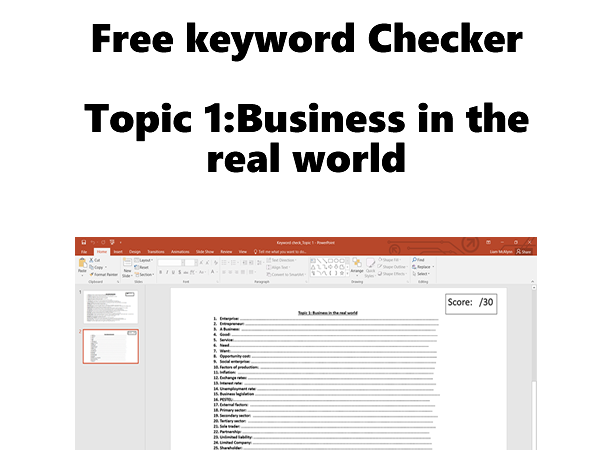 I am a business teacher based in Cheshire. My resources are focused on GCSE and A level Business studies. I have made them as cheap as possible to help make them accessible to all. 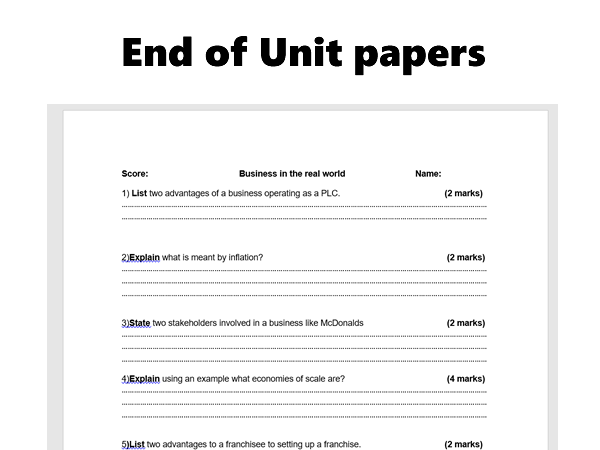 Due to limited availability of specimen papers for the new AQA Business course I have created a new paper 1 paper. This is exactly the same marks and time wise it just allows you a few different case studies and questions as by this point pupils may know both past papers quite well. Resources to help you organise and deliver an enterprise day in school. Suitable for year 8 and 9 but could be adapted for year 10. 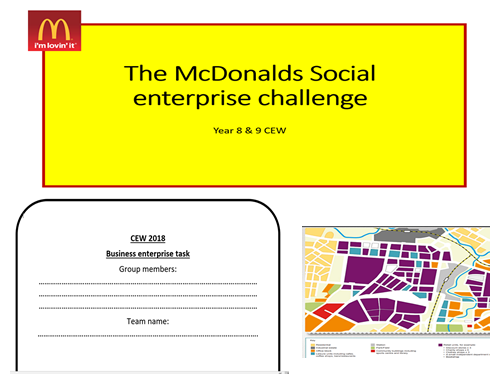 Using McDonald’s as an example pupils learn what a social enterprise is and challenge them to come up with an ethical business idea to compete in a dragon’s den style competition. A fun snakes and ladders game to play with business pupils. Is useful for revision, introductory lessons or around Christmas. Pupils create cards representing internal and external issues that may affect a business. Useful as a starter activity in run up to exams this free resource can be printed double sided so pupils can test their knowledge and mark themselves. All I ask in return is a review and if these prove useful I shall post them for all topics.